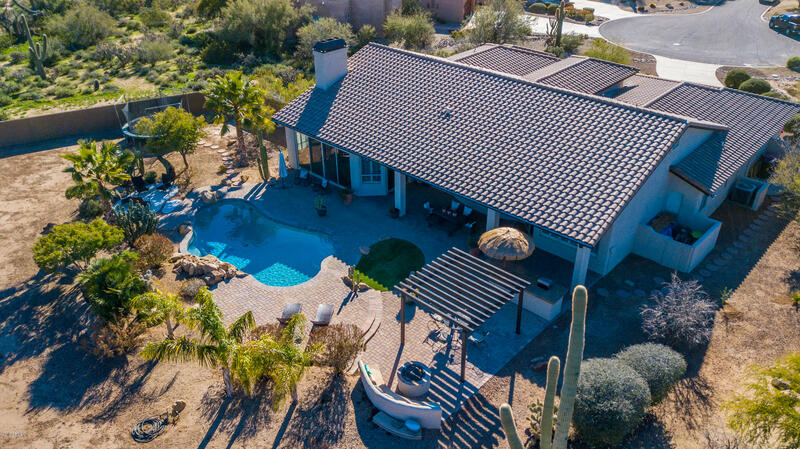 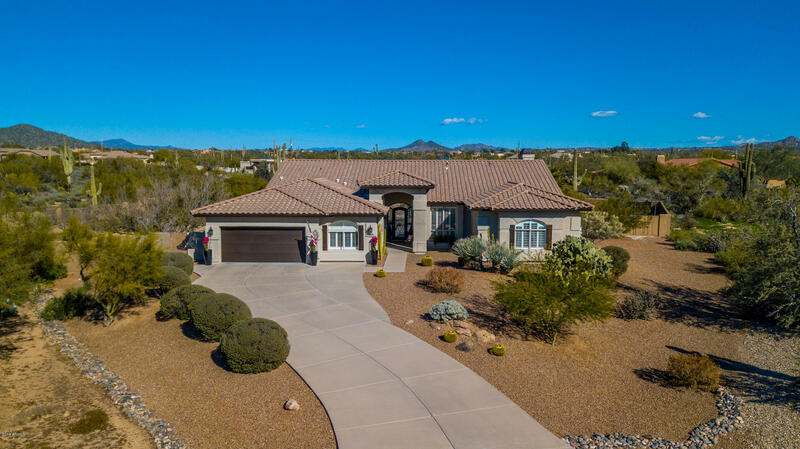 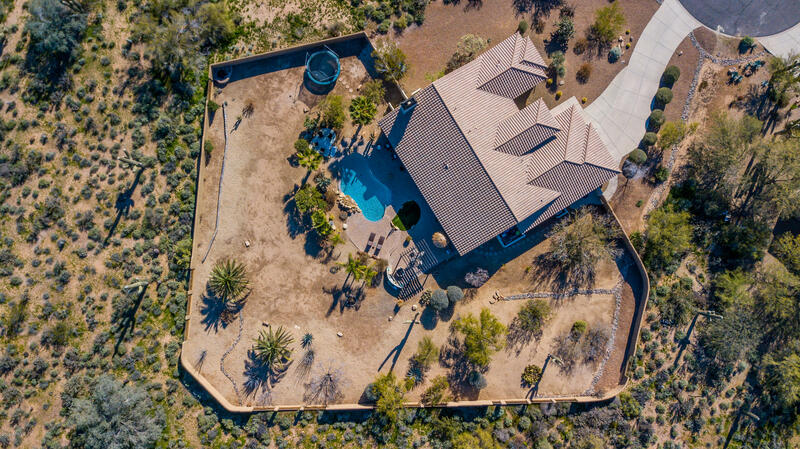 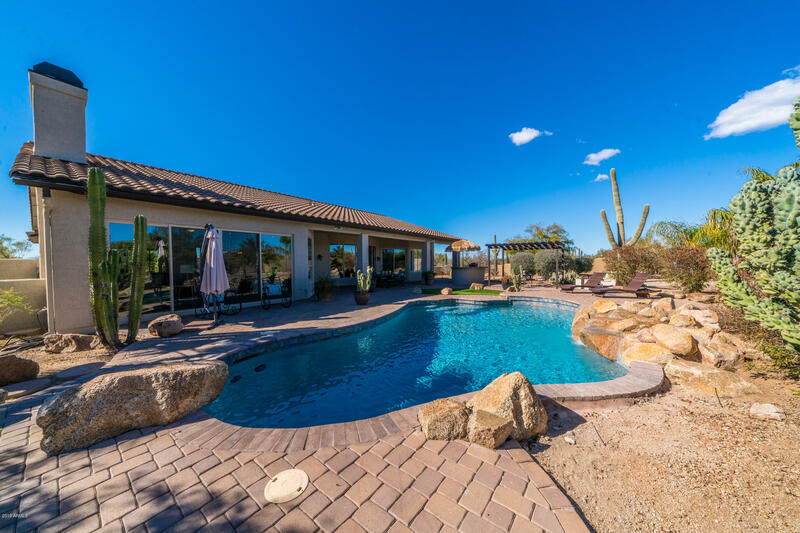 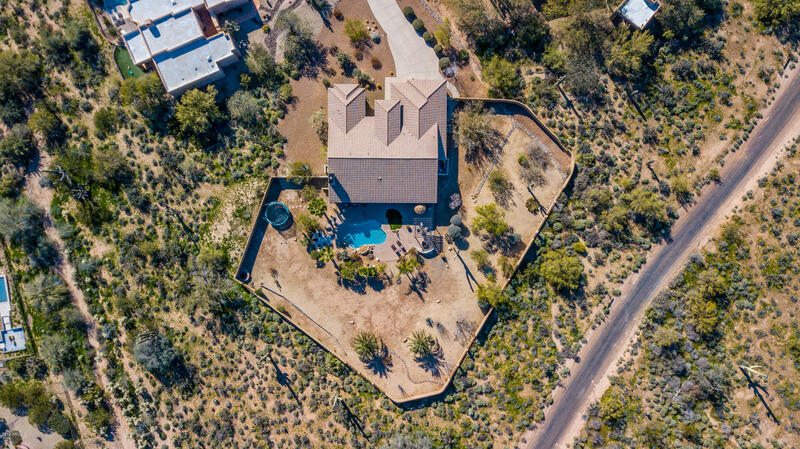 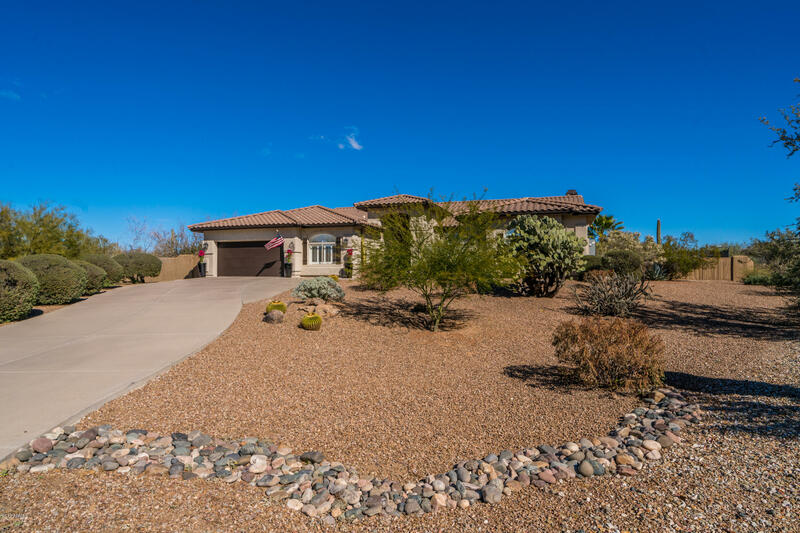 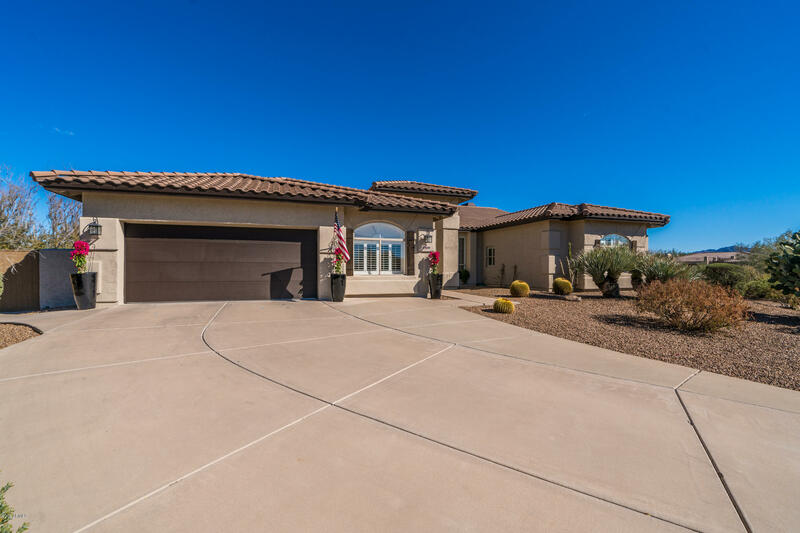 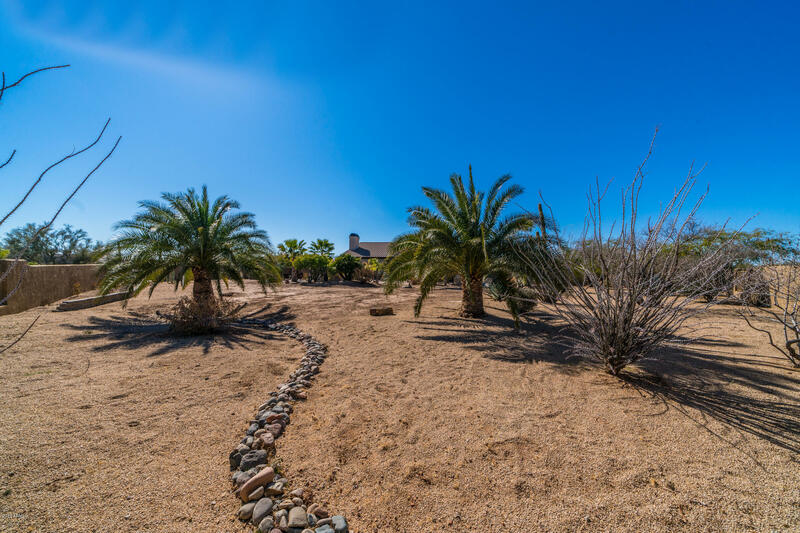 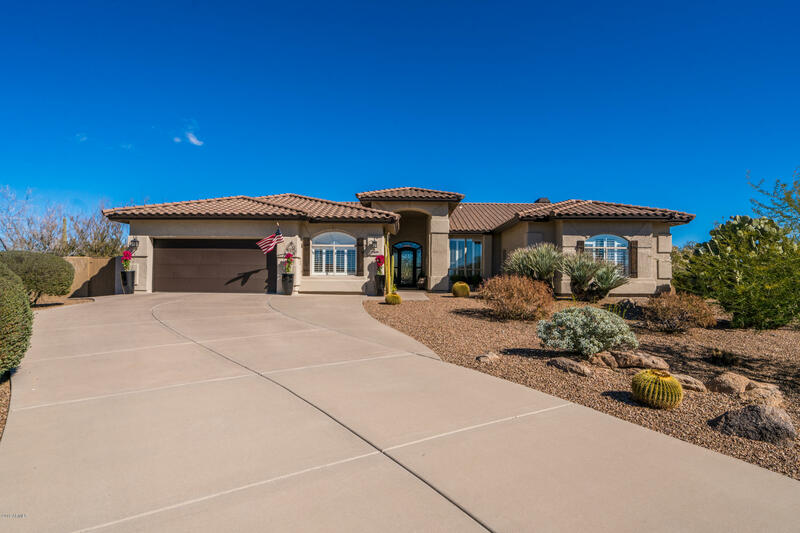 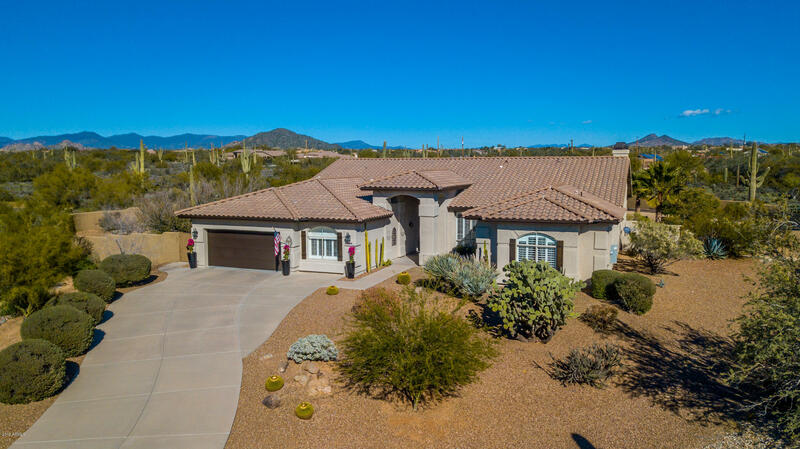 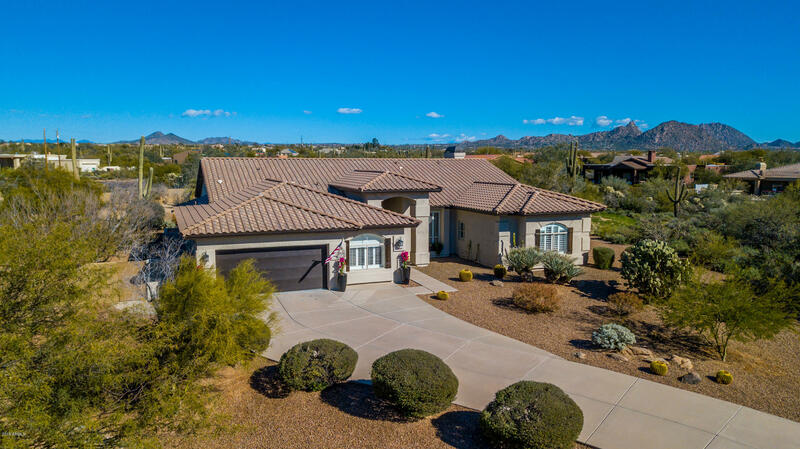 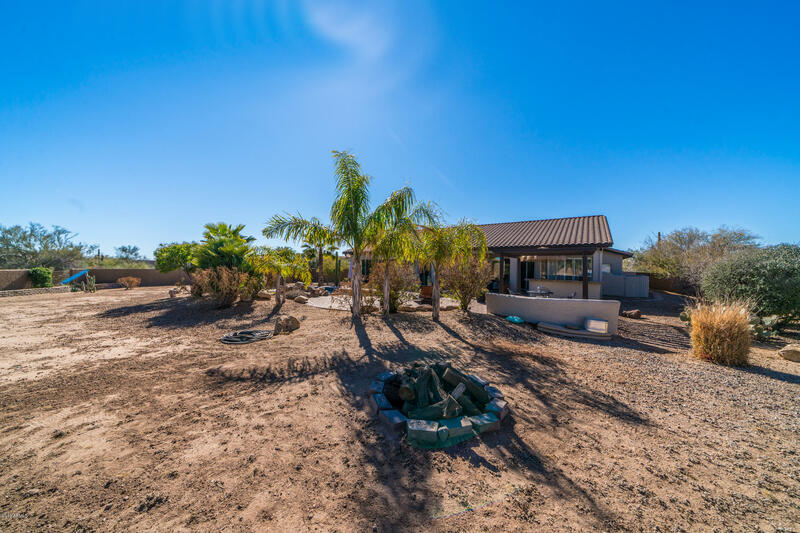 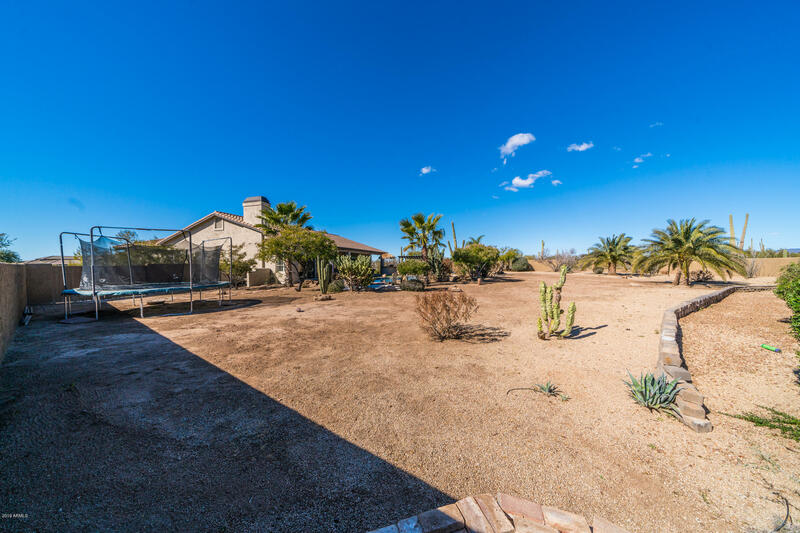 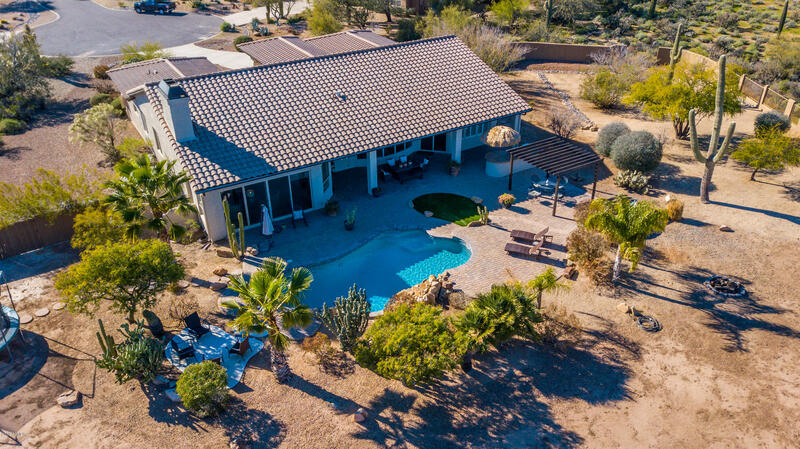 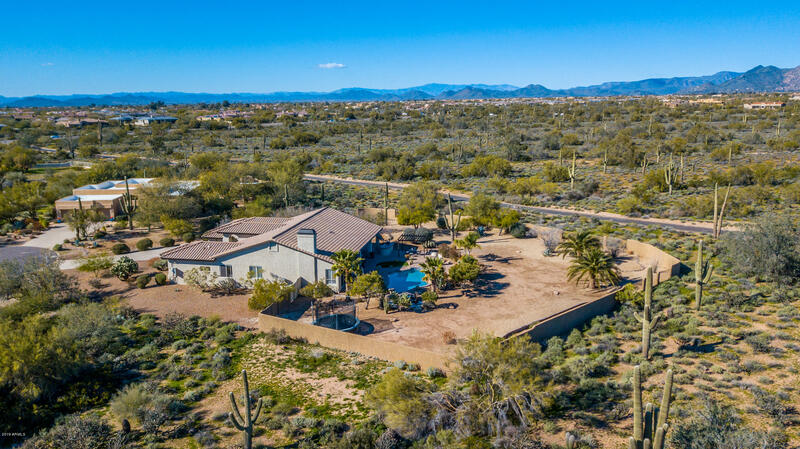 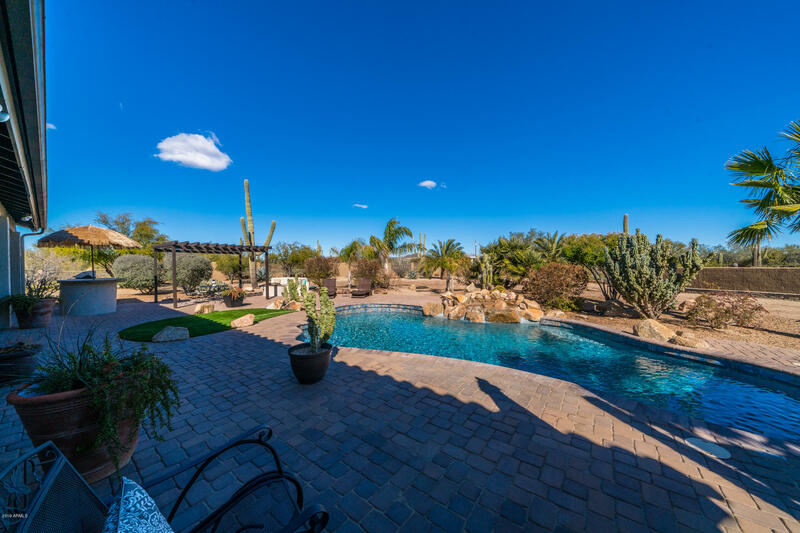 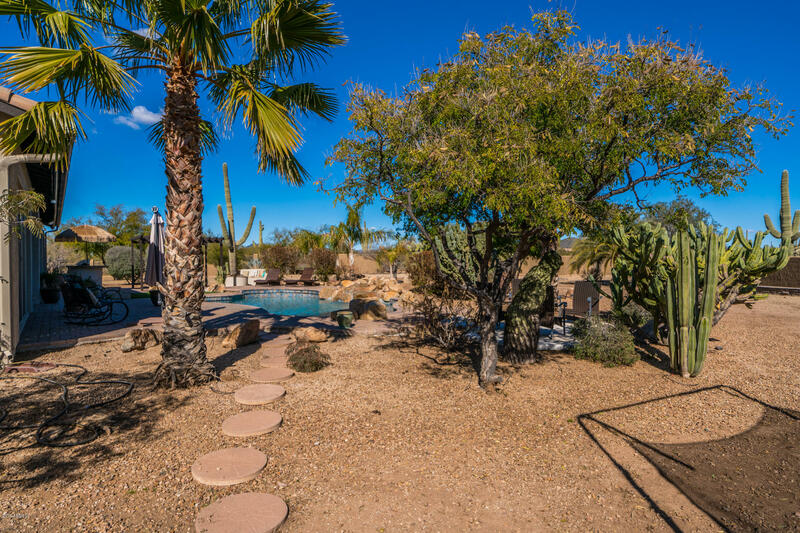 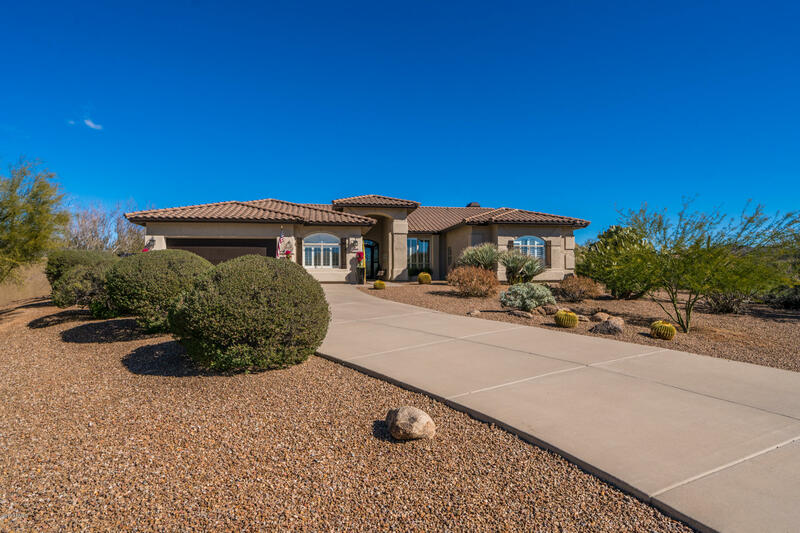 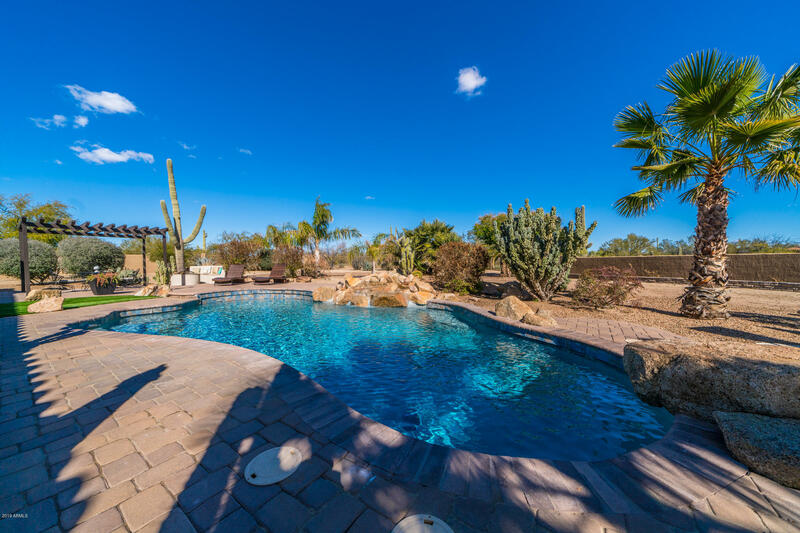 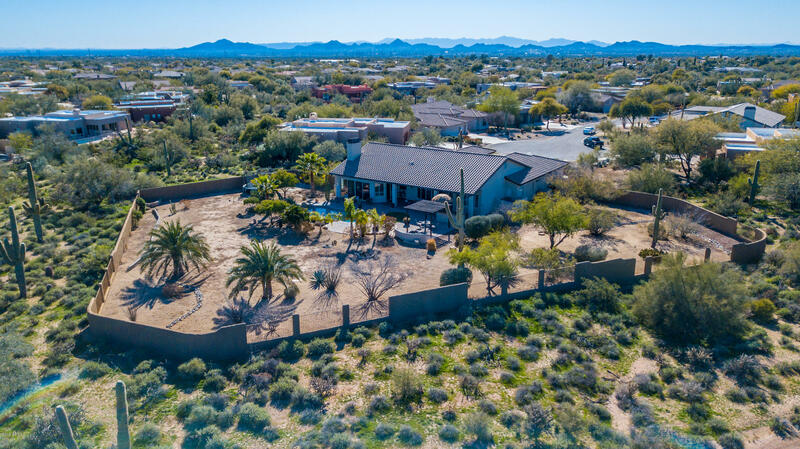 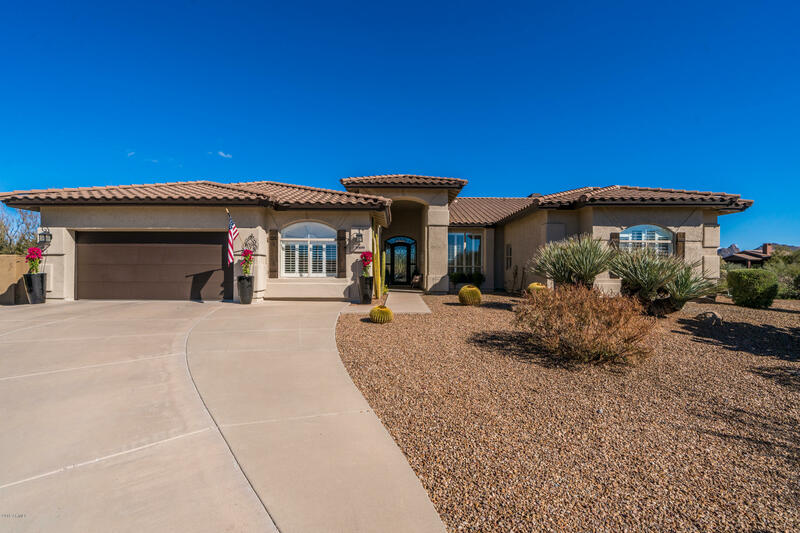 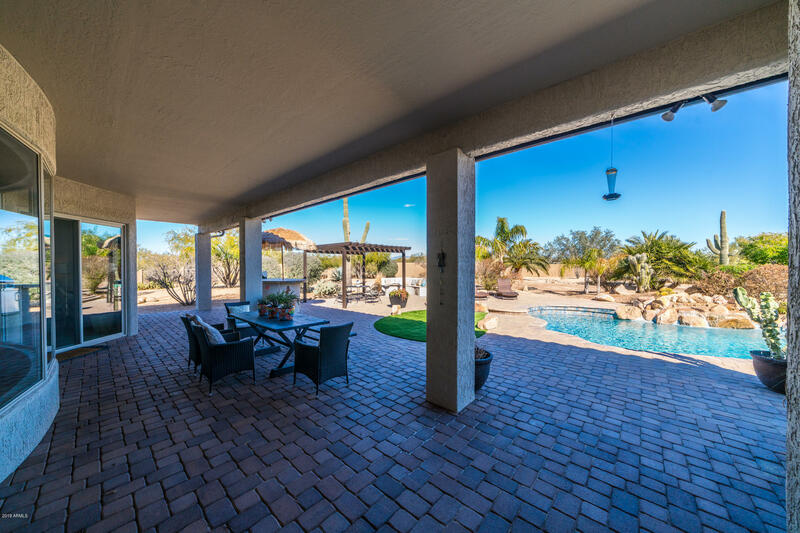 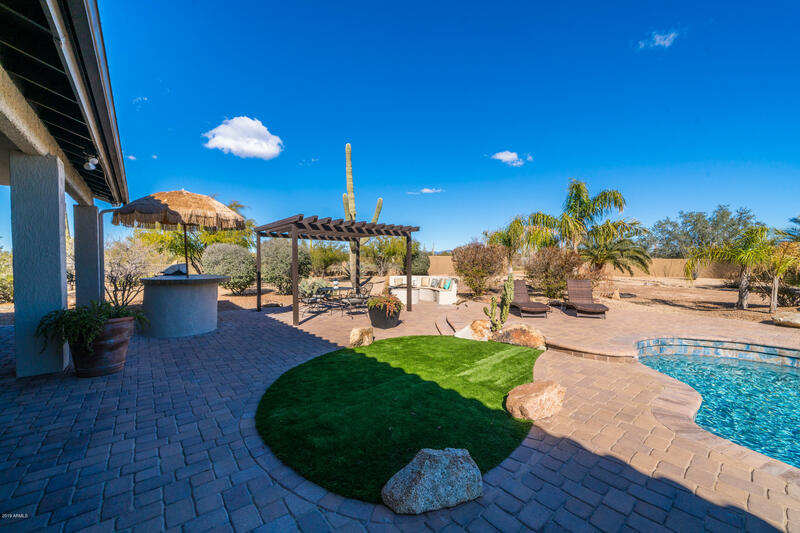 STUNNING cul-de-sac home sitting on over 3/4 acre, surrounded by desert & mountain views! 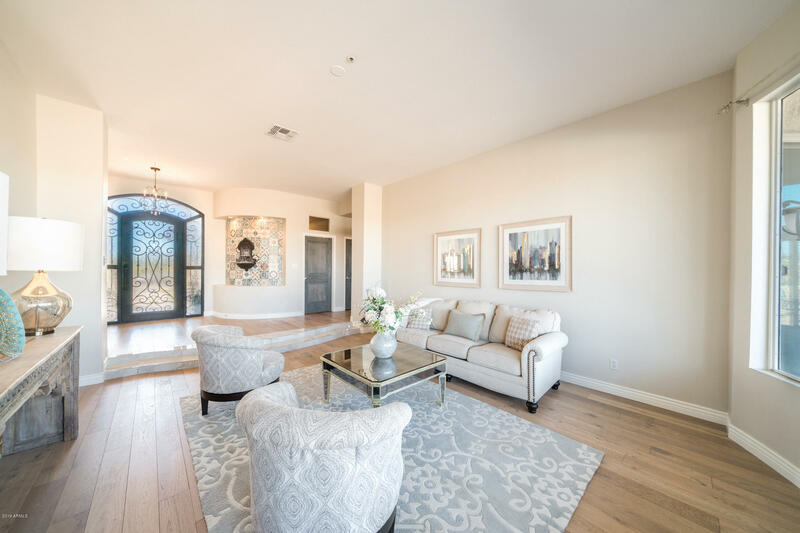 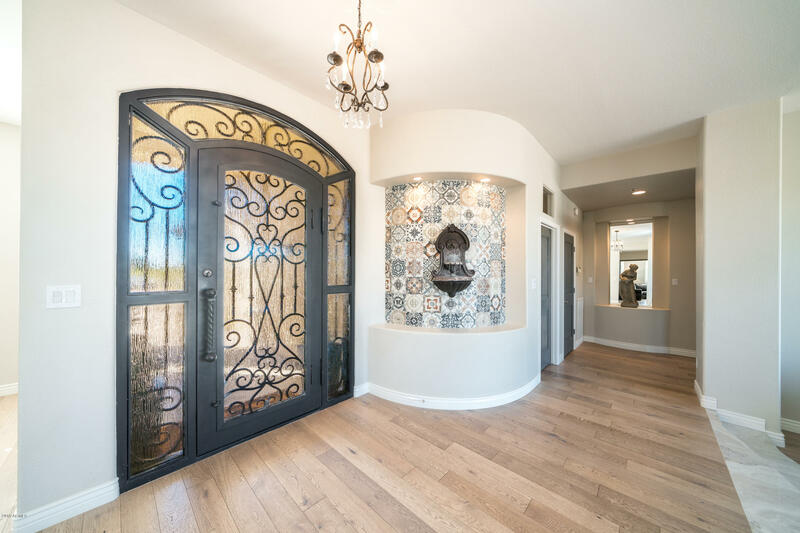 Enter this fabulous home through the elegant, custom iron door. 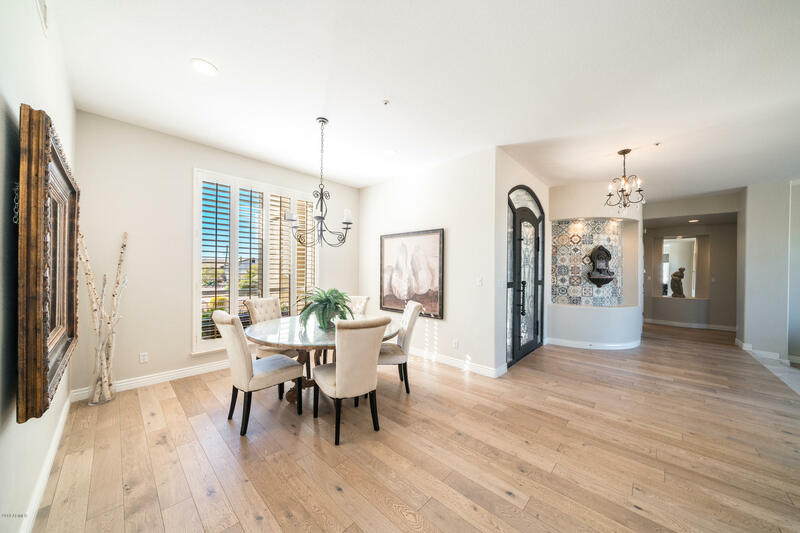 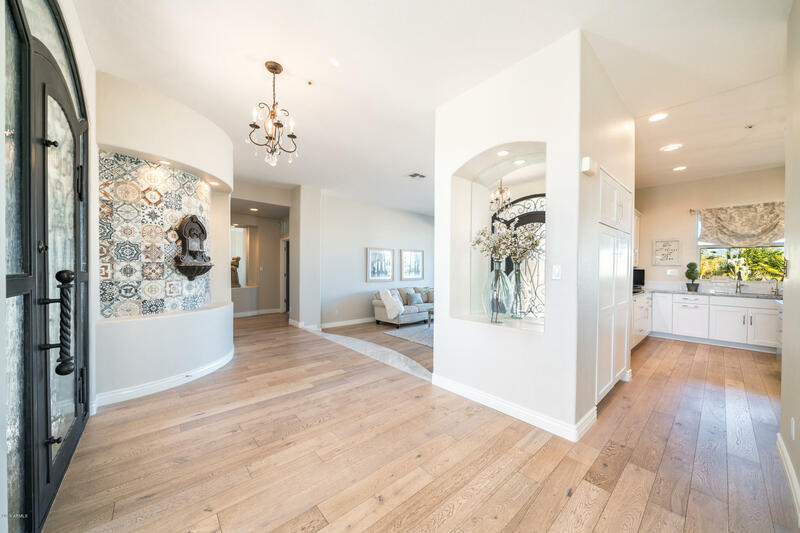 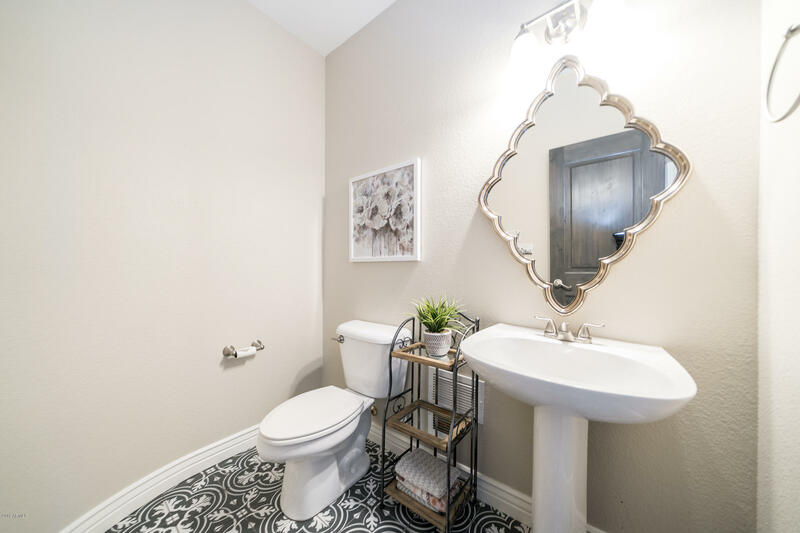 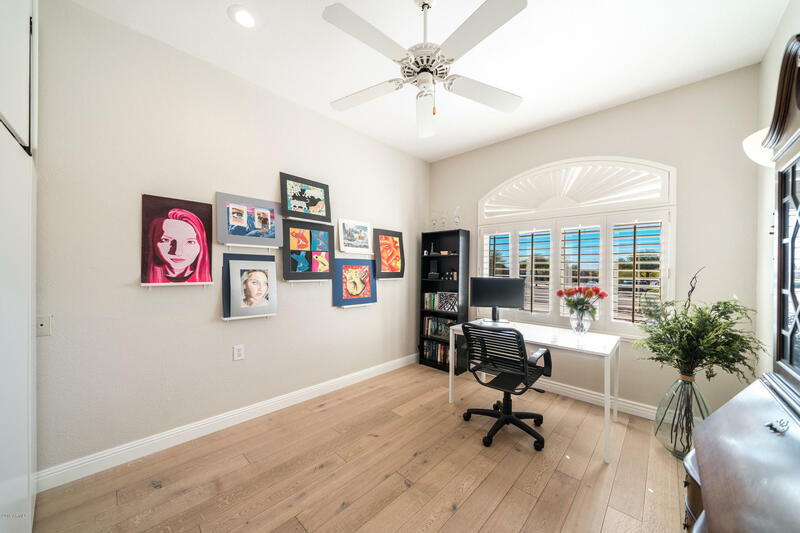 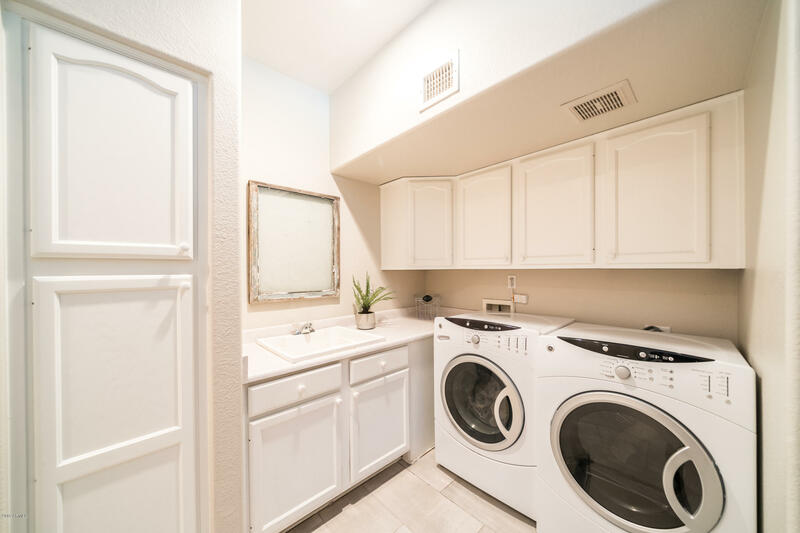 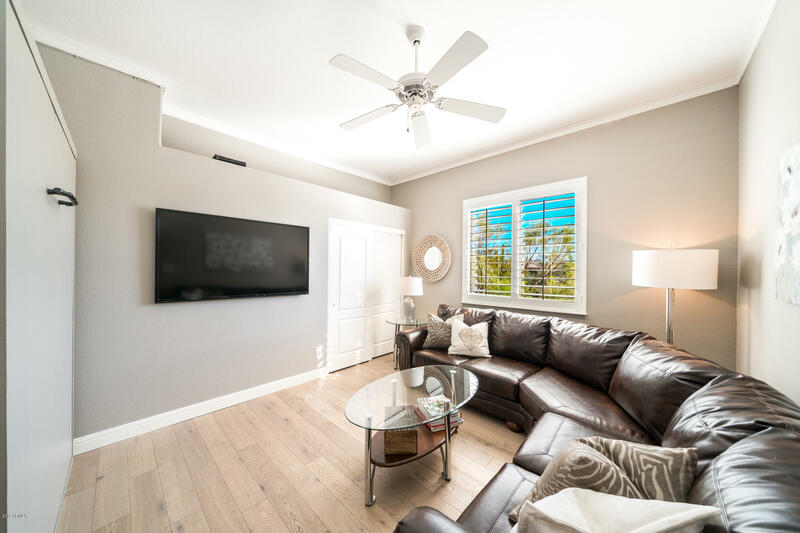 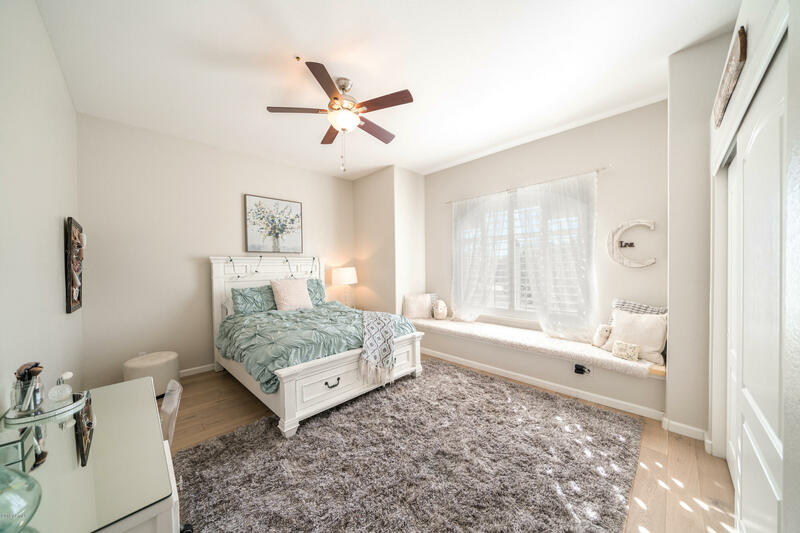 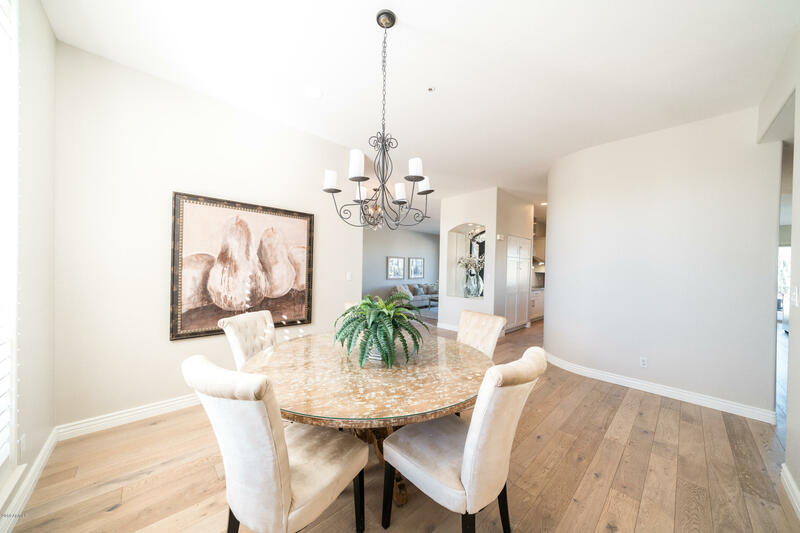 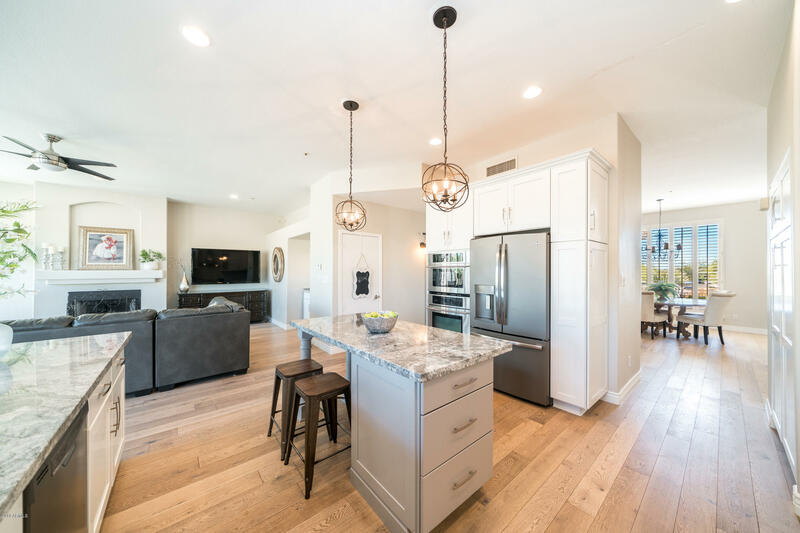 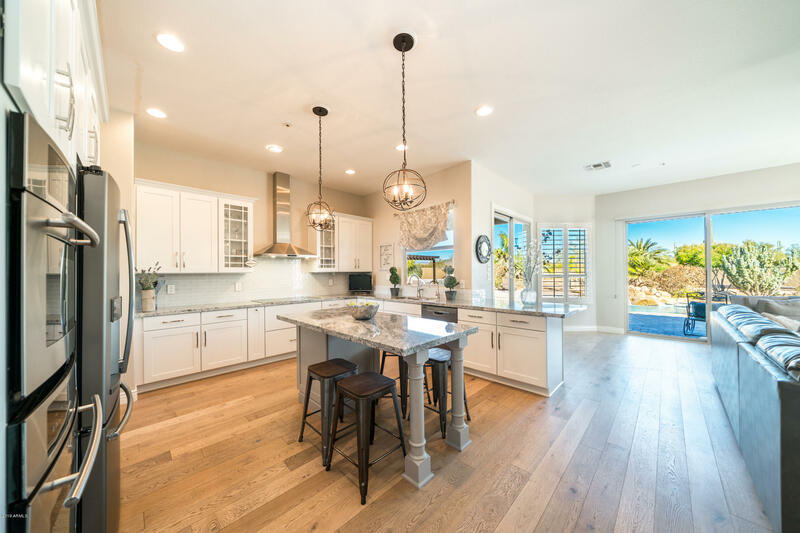 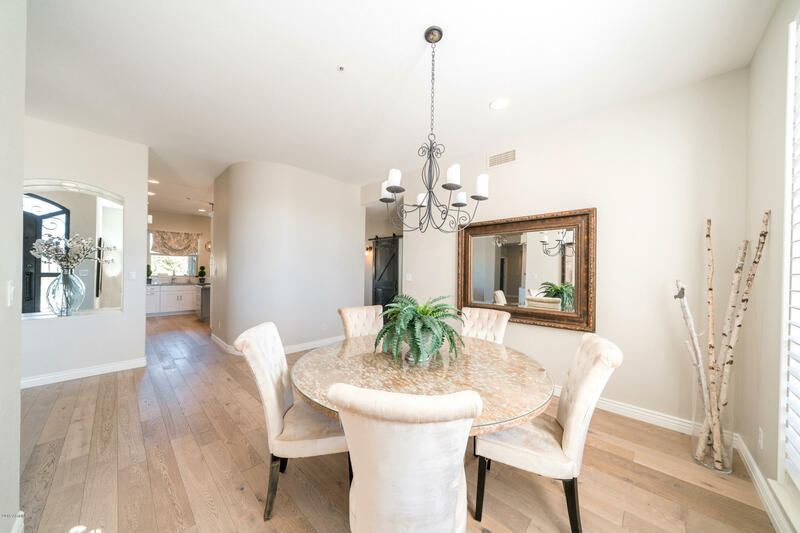 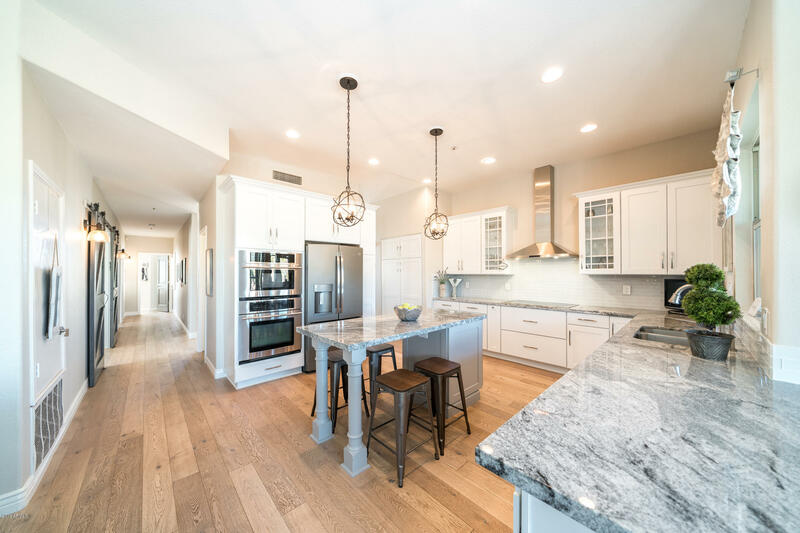 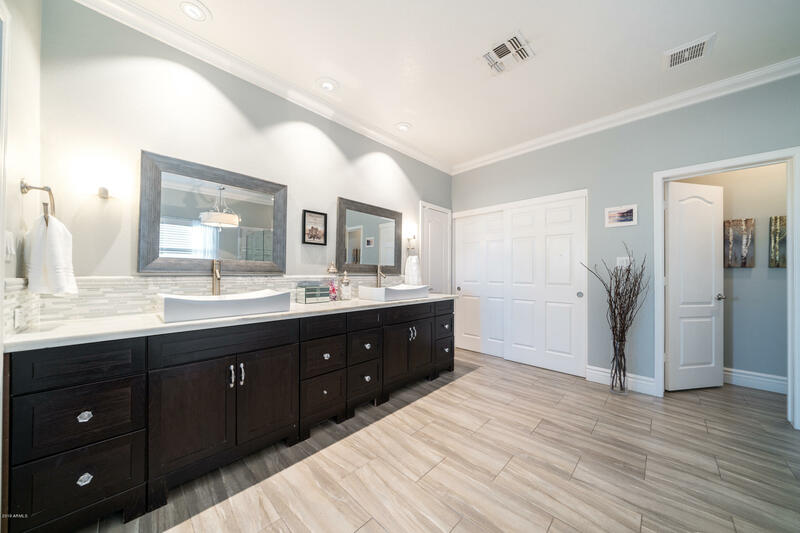 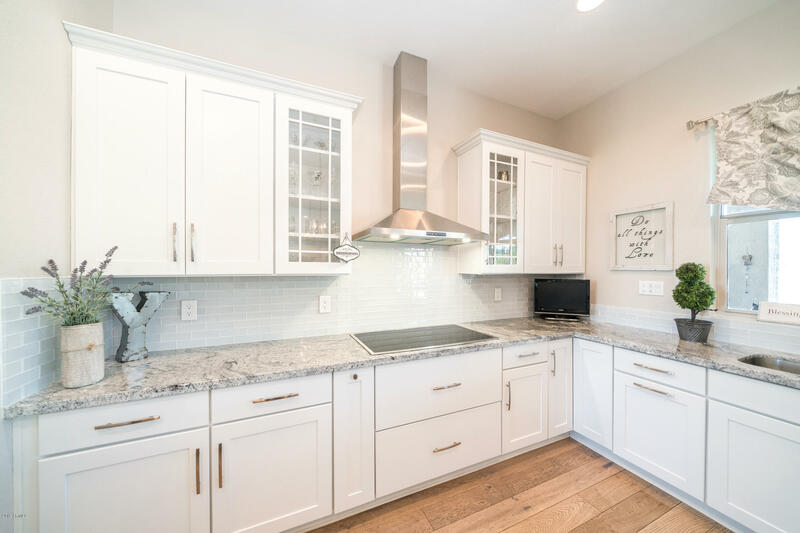 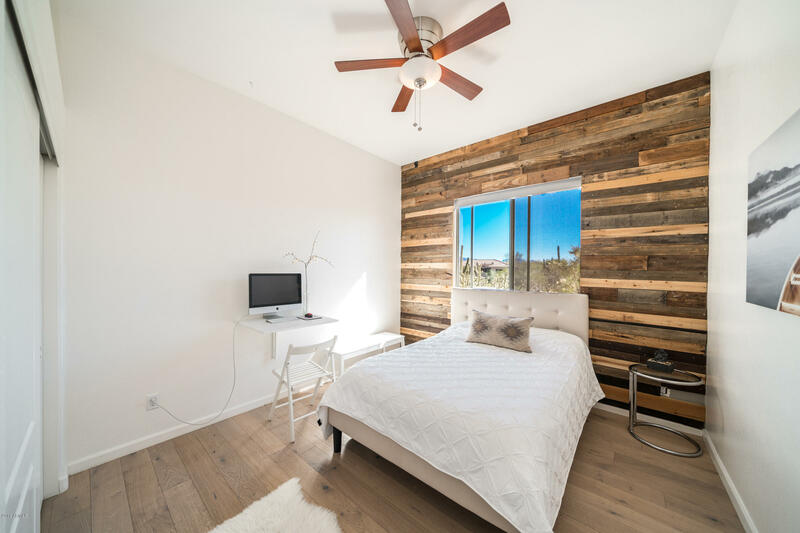 Enjoy the many recent, impeccable finishes (2017-18) featuring upgraded kitchen w/stainless steel appliances & granite, European French oak engineered hardwood floors throughout most of home, recently remodeled baths, built-in Murphy bed in den/4th bed w/custom barn doors, large, open family room w/wet bar & fireplace, updated lighting & separate office. 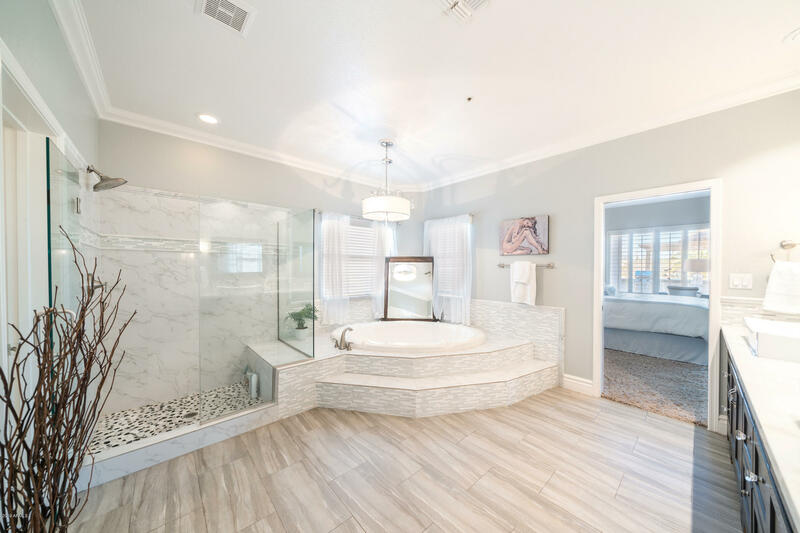 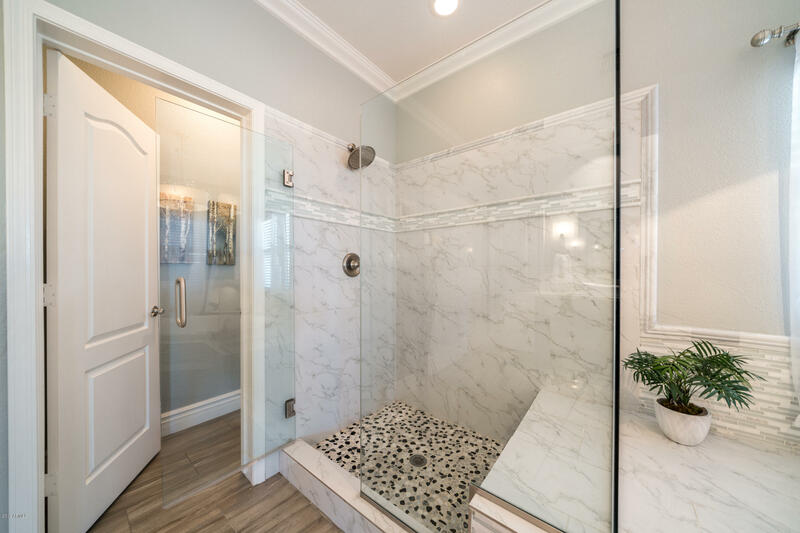 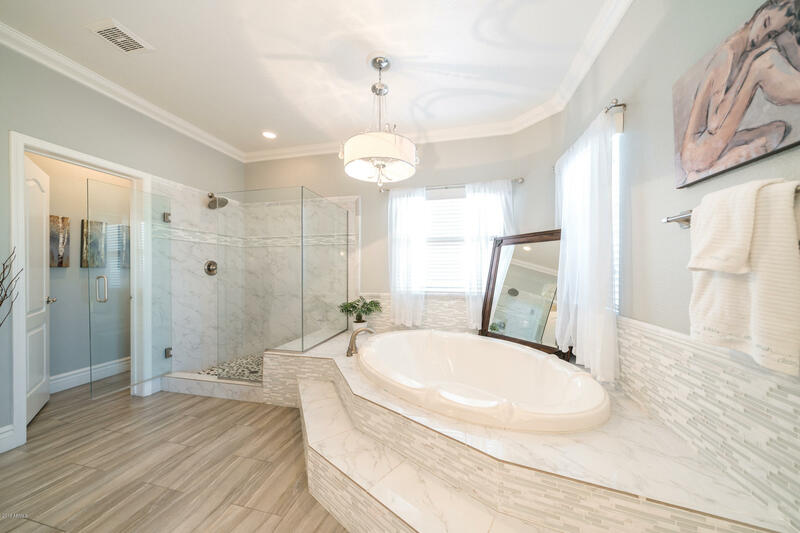 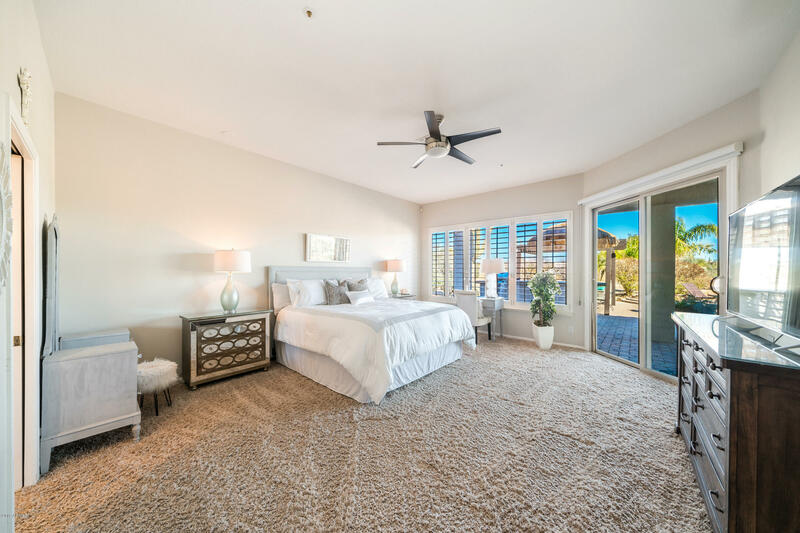 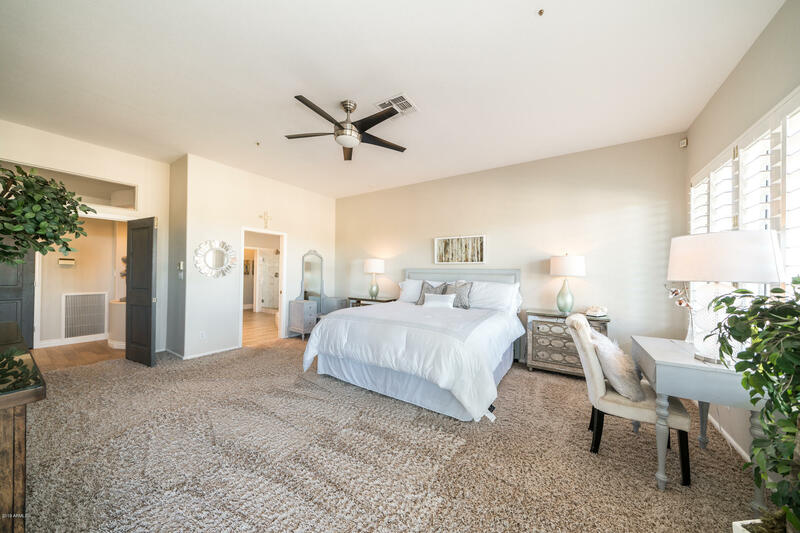 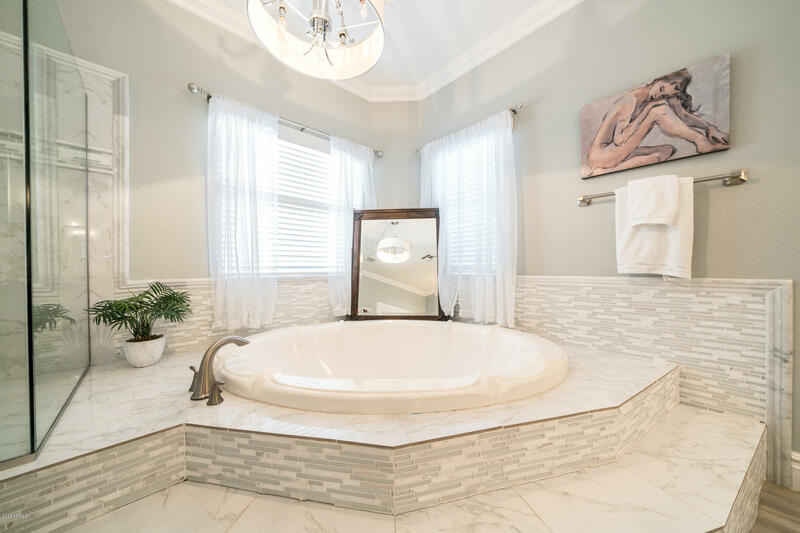 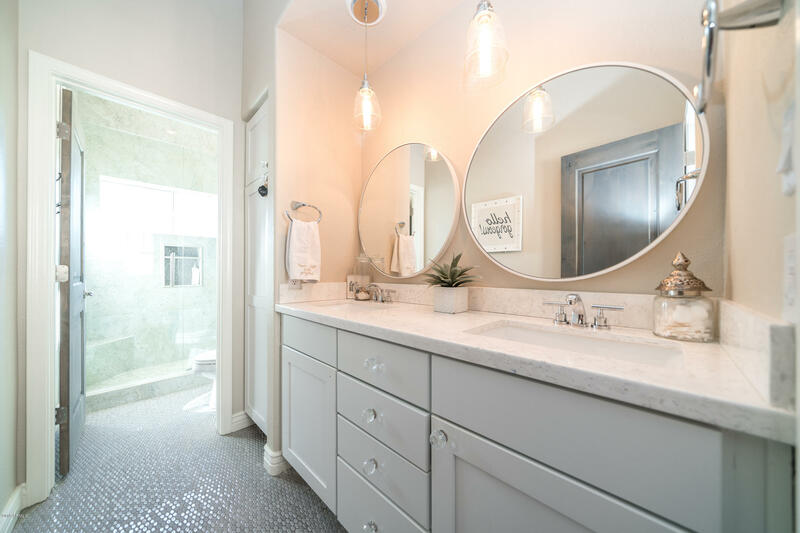 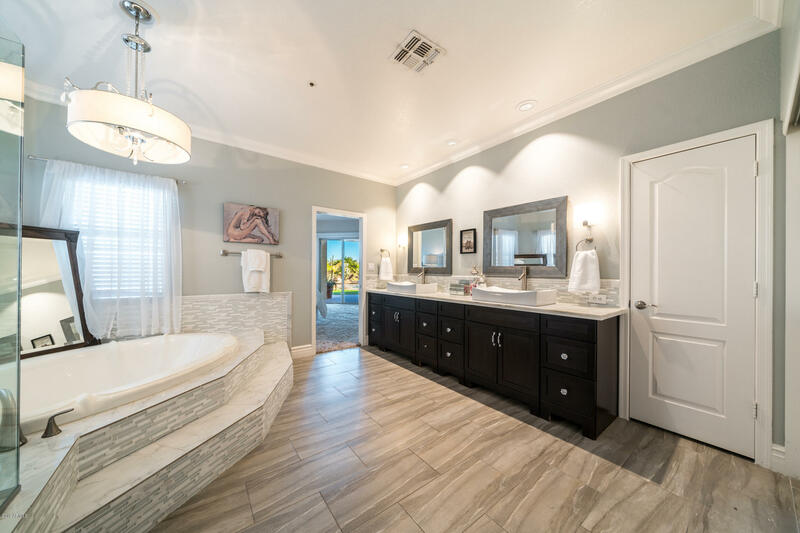 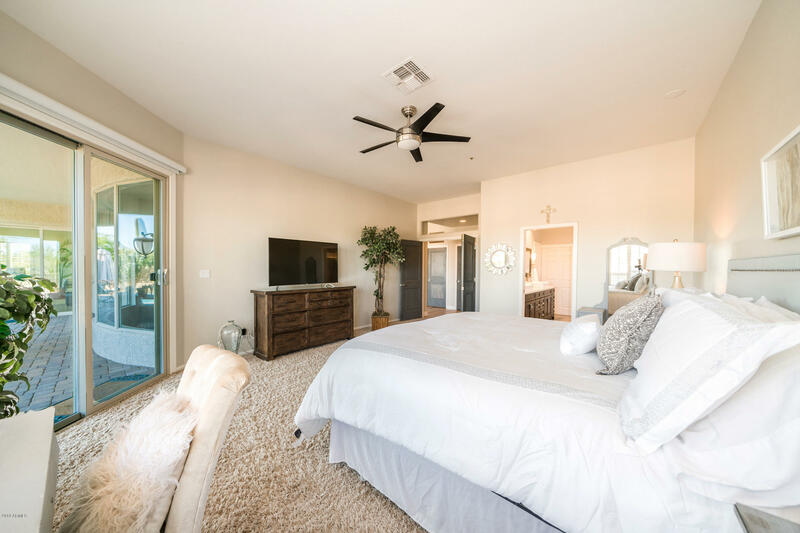 In the master suite you will find a jetted tub, luxurious tiled shower, dual vanities and large closet. 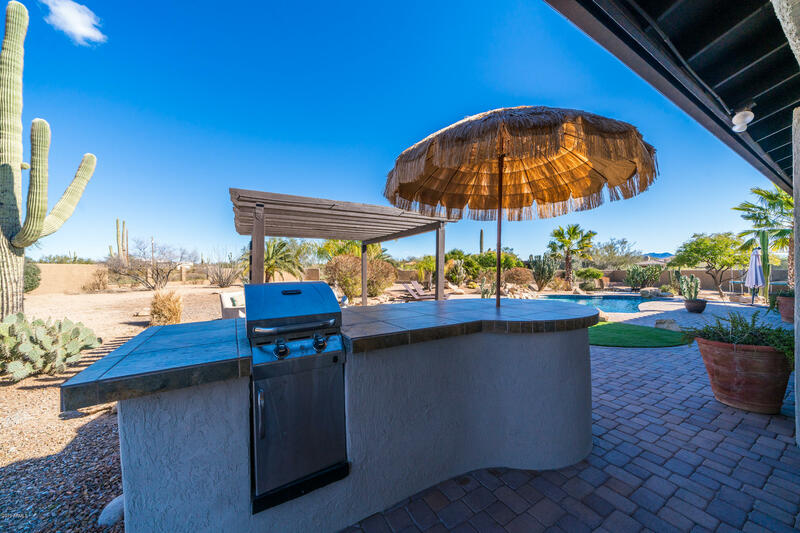 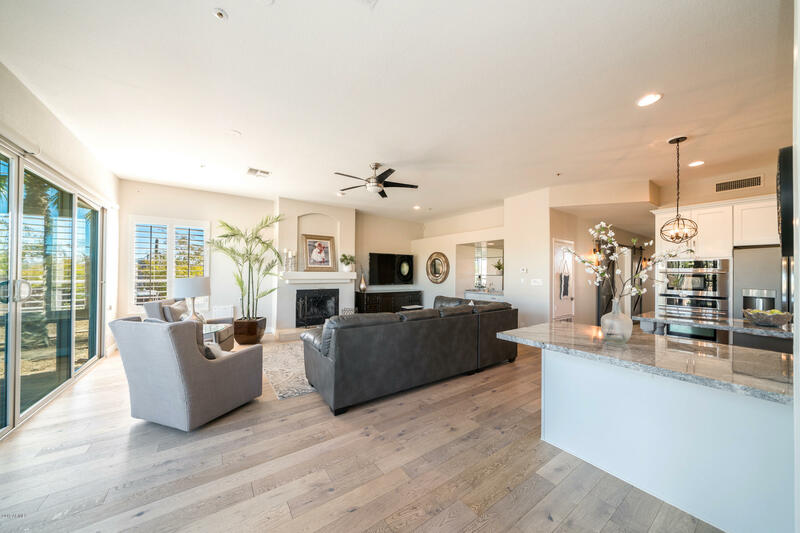 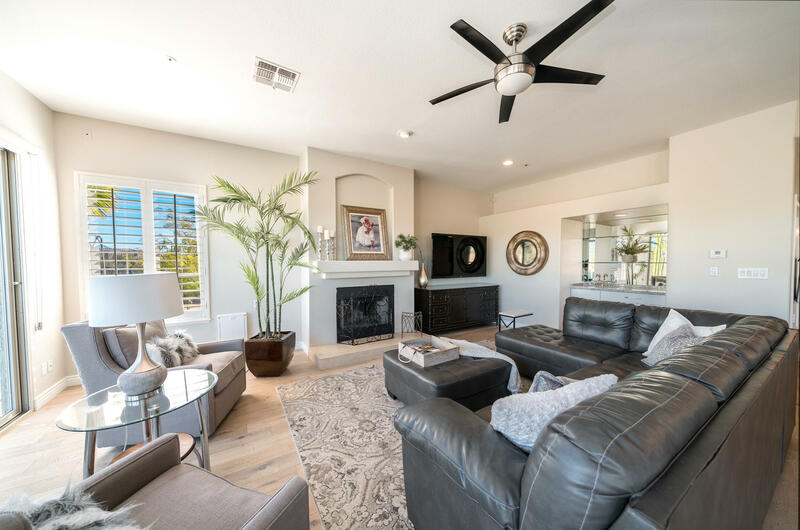 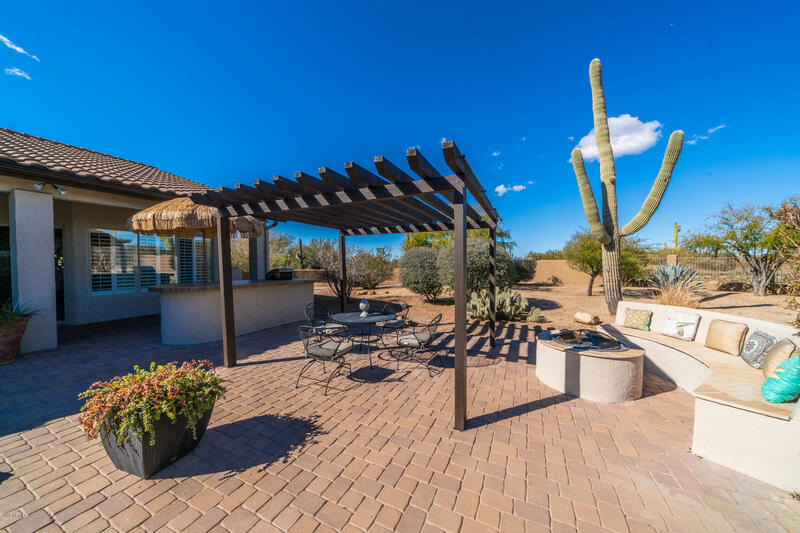 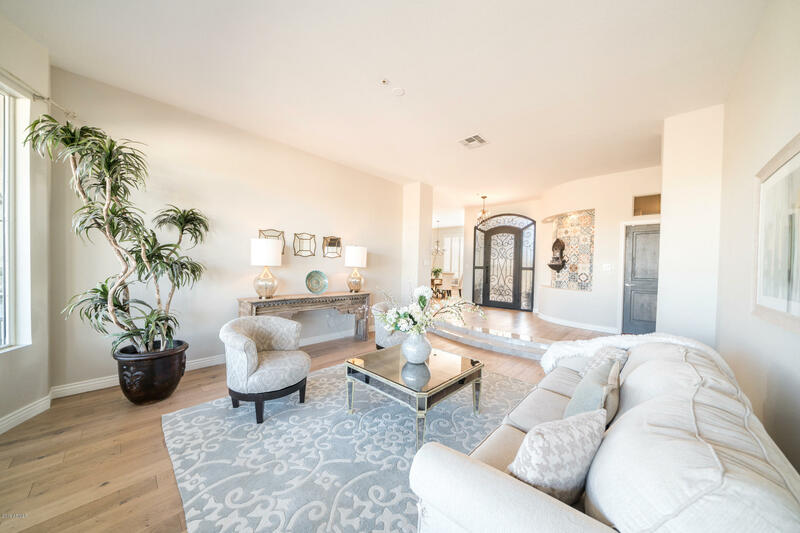 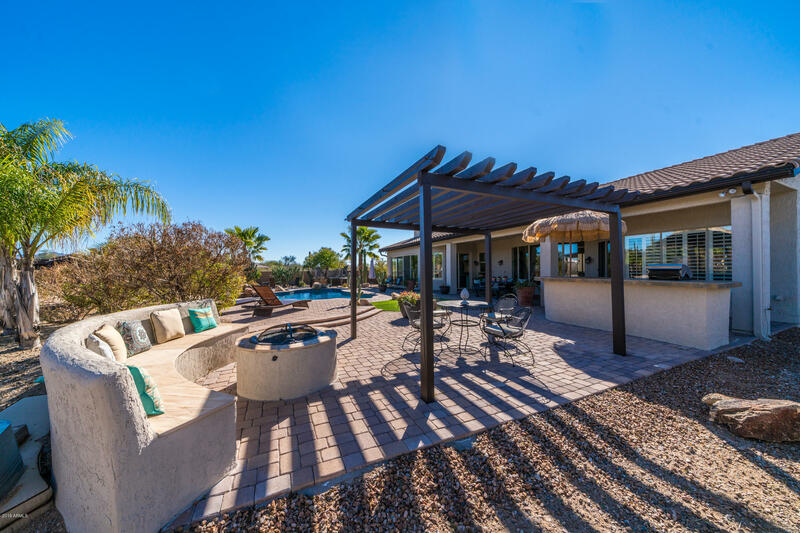 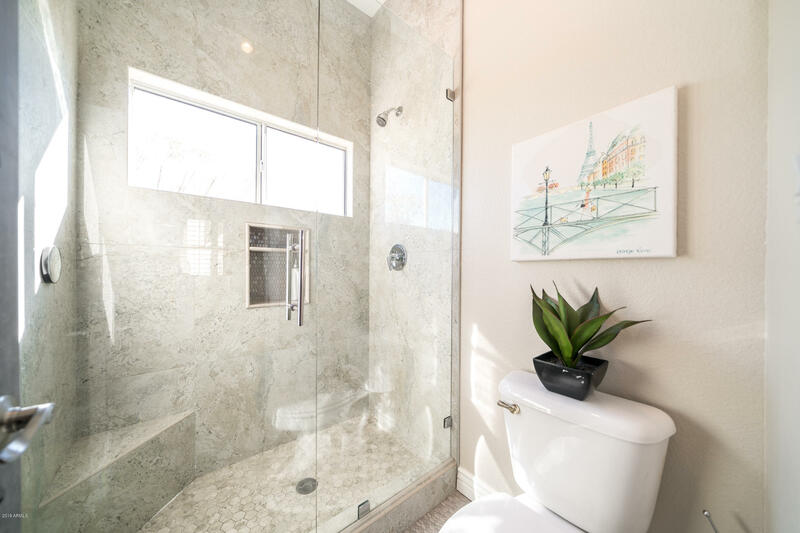 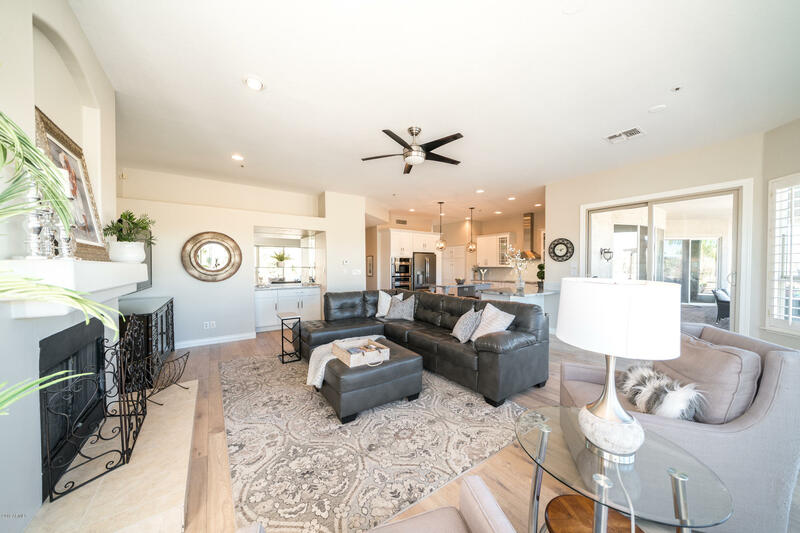 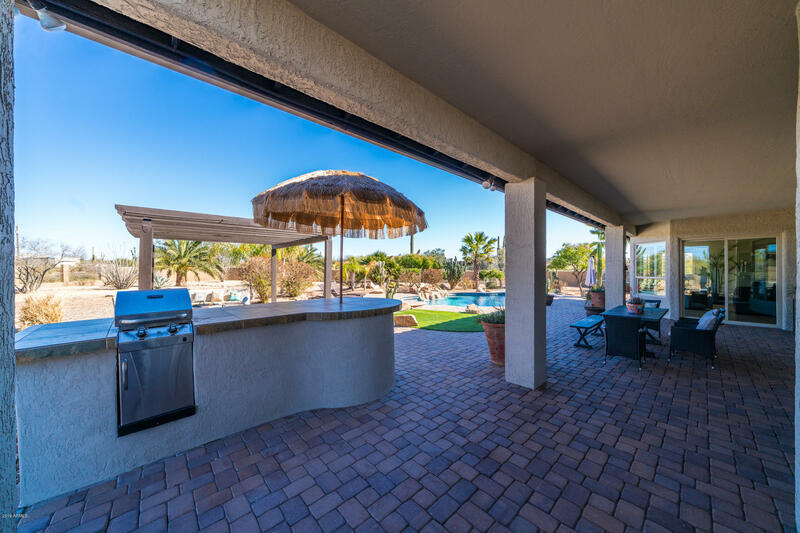 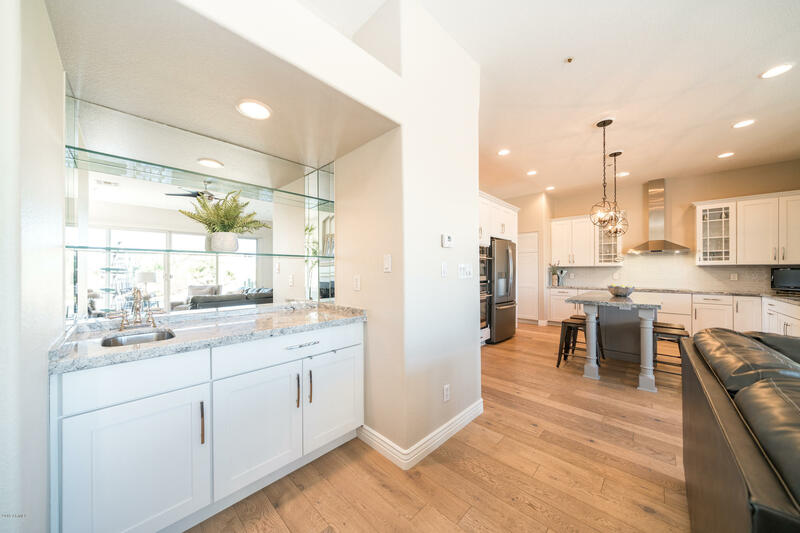 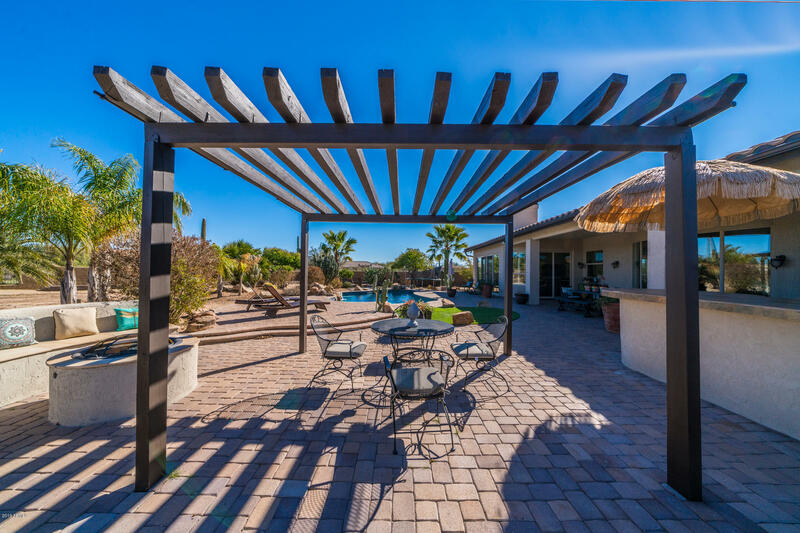 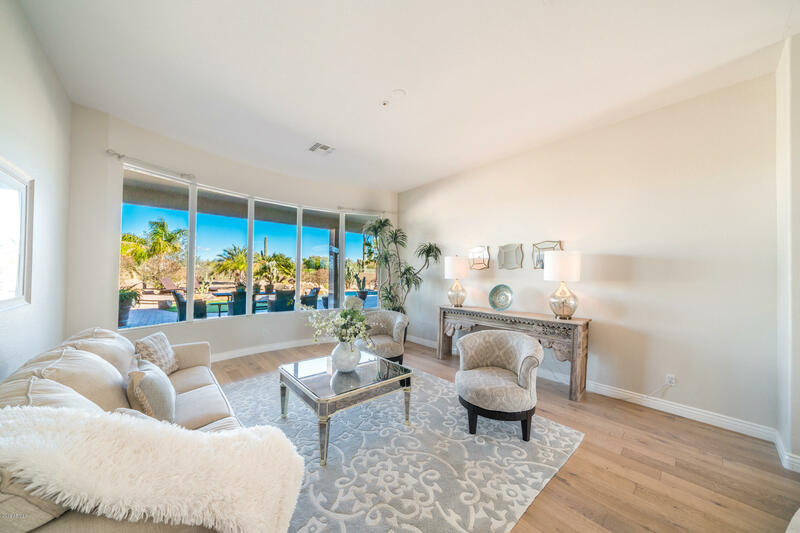 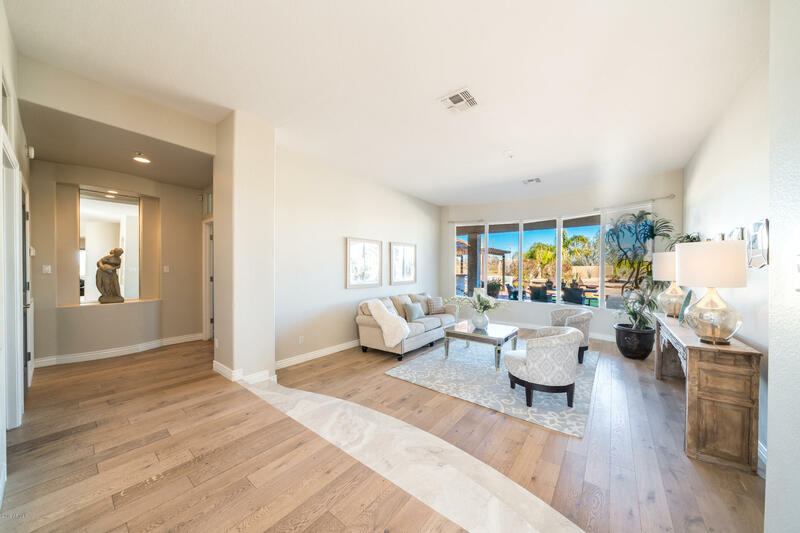 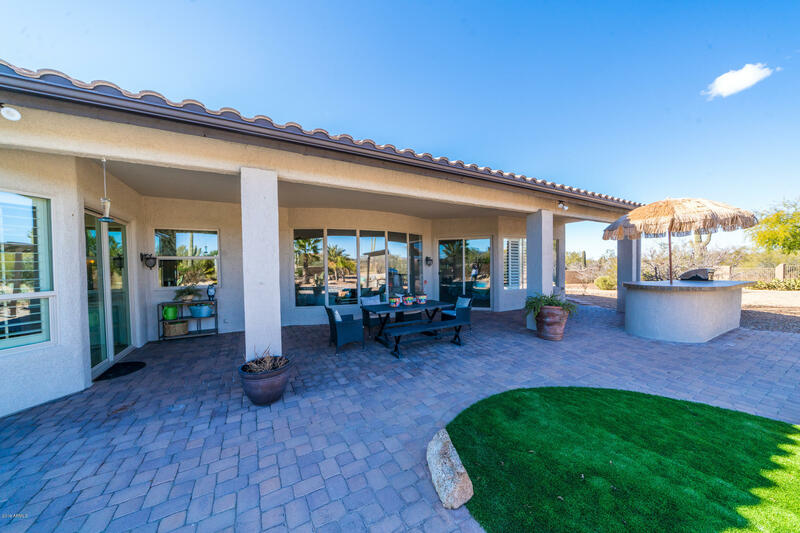 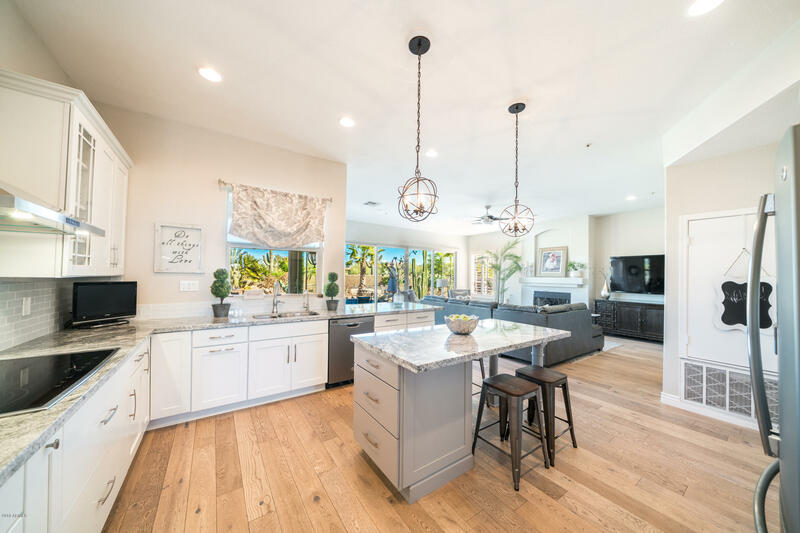 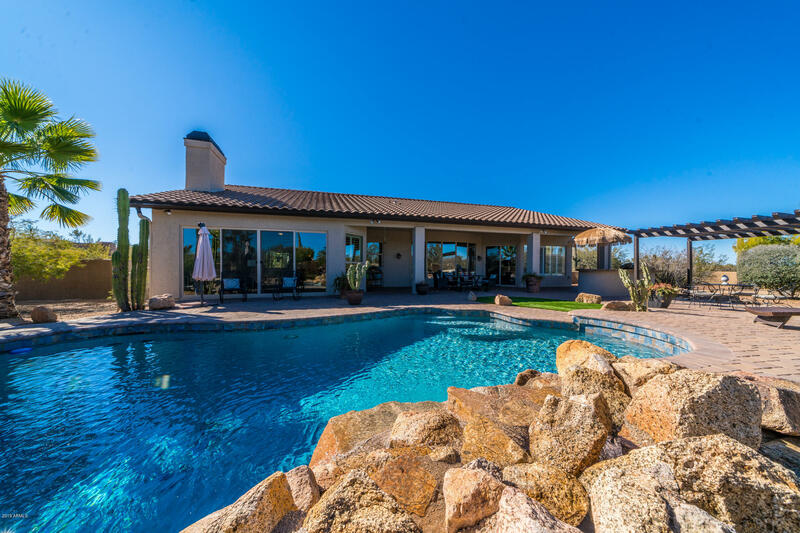 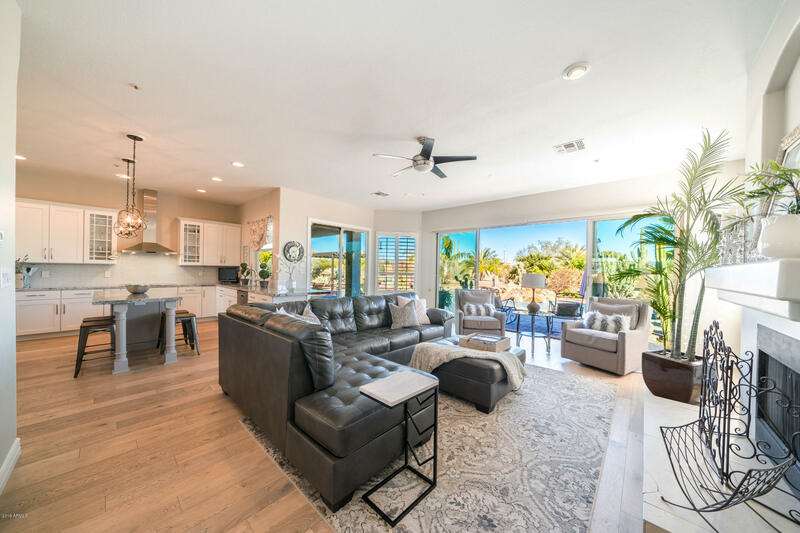 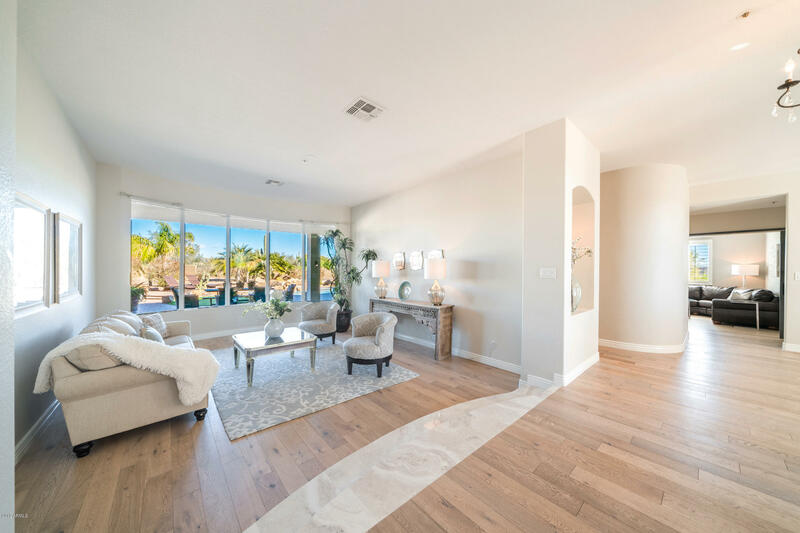 Open the expansive FR glass doors to Incredible, private outdoor living, featuring paver patio, recently refinished pebble sheen pool w/water feature, seating, and built-in grill.